There is only one answer to your question: YOU ARE BORN WITH A BAD MONEY KARMA. Start my twofold program outlined below to improve your bad money karma. First, this technique will help you get rid of your past life karma that is disallowing you to make money. When you wake up in the morning, do the karma-busting meditation Thiru Neela Kantam for at least three minutes while still in bed. 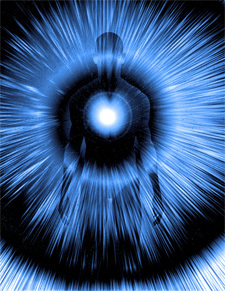 Chant the mantra Thiru Neela Kantam in the throat while visualizing a blue light. Make a prayer to me to empower the mantra for you to remove your bad money karma. Later on when you shower, do the mantra again as outlined. After the shower, it is important that you take a few flower petals (or even a whole flower) and roll them on your head (around the brain area and forehead), throat, neck, shoulders and chest (heart area). As you do this, pass your negative financial karma to the flower petals. Put the mantra Thiru Neela Kantam into each area of your body. Let the negative thoughts about money in your head pass into the flower. Let the negative financial karma stored in your throat pass into the flower. Let your financial burdens in the right shoulder and left shoulder pass into the flower. Literally let the burden lift off your shoulders. Let any heartache and sorrow about money and finances in your heart pass into the flower. Do not smell the flower petals. Hold them in your right hand as you do the ritual. Imagine the flower petals have absorbed your past-life karma and present-life karma and then crush them, saying the mantra Thiru Neela Kantam. Then throw these scapegoat flower petals away and wash your hands. Do not touch them. Flowers come from a very pure dimension. They carry space energy, the energy of akash (space). Your karmic records are said to be stored in the Aksahic Records, the realm of space energy. Flowers have the occult (hidden) power to help you access the Akashic Records. This spiritual technology is like directly updating a database! I promise you, if you work with the flower petals and the mantra, you will find tremendous benefit from this secret ritual. If you who have either of my Thiru Neela Kantam CDs you should listen to it everyday, even if it is just playing in the background while you are doing the dishes or driving your car to work. Second, understand that the planets in your astrological birthchart carry your money karma. I recommend that you find out which planets are directly involved in creating financial hardships for you and do some remedies to change these influences. You may ask, 'If we are doing Thiru Neela Kantam, why bother with planets?' The answer to this question is: Thiru Neela Kantam is like your general physician. He knows everything about your body, but he needs to send you to an eye doctor or an orthopedic doctor as the need arises. Achieving healthy finances involves goals and visions. Most people don't have visions; they just get by. Visions have to be supported by practical data. Ask yourself some tough questions: 'Am I too idealistic?' 'Am I being unconscious?' The moment you put your attention on looking at finances, ideas will come. Now of course, you cannot earn money through activities like stealing or selling drugs. You want to earn your money through noble means. You must ask the Divine to help you and to inspire you with fruitful ideas. Write on a little piece of paper whatever you want to manifest. It should be very, very legible and put it up all over your home. Go to your workplace and put it on your desk. You happen to see the figure, the numbers that you want to manifest. It will have tremendous impact on your consciousness. That's one thing. 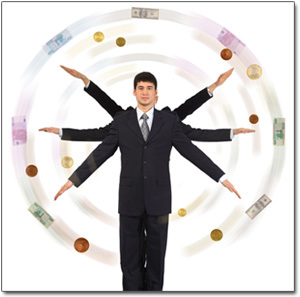 Another thing that you must do is to put up pictures representing financial abundance. Put up a picture of a money tree. The money tree goes back to the archetypal imagination of the human race. There ARE money trees in heaven. They are not just money trees, but they are trees capable of manifesting the things you want. These are called wish-fulfilling trees. In Sanskrit they are called Kalpa Vriksha, the trees that manifest your desires. So, it's important to visualize because the money tree belongs to the unconscious and the archetypal imagination. Stop thinking about the questions and just be with me. Visualize the ocean. This is not an ocean full of water, but an ocean full of milk. It's a milky ocean. It is endless, with waves of milk dashing against the shore. It is so brilliant. It's all white. And now you see a moon, a full moon, coming out of this milky ocean and shooting up into the sky. The moon moves up and up and up into the sky. And now you find a white elephant, an enormous white elephant coming out of this milky ocean. And it walks on the milky ocean. And it comes toward you. And this white elephant goes into your third eye and becomes part of you. Now you see a magical horse. This horse has wings. The white horse is coming toward you. It also gets into your third eye and then merges with you. And now, you see a money tree coming out of this milky ocean. It has no money on the leaves, but actual gold. The tree with gold comes toward you, gets into the third eye and merges with you. And now you see the goddess Lakshmi, who is the goddess of wealth, coming out of this milky ocean. She is golden and carries two golden pots. And the pots are filled with gold coins. And she is coming toward you. She is emptying the pots of gold coins into your head. And then she gets into you. She merges with you. Visualize gold everywhere. Gold is the purest emotion of creation. Gold is the emotion of God. That's why in every culture people have accepted gold as money. Just visualize abundant wealth, all that you want in your life. Just visualize with great emotions and joy, as if you have already manifested. It's not that you're going to manifest, visualize that you have already manifested. Embrace this manifestation. Live through this manifestation. Close the meditation and bow and give thanks to the Divine for the enlightened teachings given to us by the ancient Siddhas.